10 Best SEO has released their list of award-winning companies that have set themselves above the rest with outstanding performance, original ideas and unique perspectives on mastering the digital social platform. This month’s award gives companies like Straight North and Ignite Visibility an opportunity to shine as the best social media marketing agencies. 10 Best SEO has just released its most recent list of award-winning SMM companies, naming Straight North as the top contender. 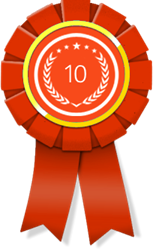 Each month, 10 Best SEO recognizes the top agencies for social media marketing. These awards are based on multiple factors, and they are considered to be a significant honor. Award recipients have proven their ability to sustain excellence in the services they provide. 10 Best SEO employs a thorough evaluation process in making these SMM awards. Social media marketing is an important aspect of online marketing. It involves the use of popular social media platforms by businesses to expand brand visibility and increase sales. Each agency being honored by 10 Best SEO excels in multiple areas, including services provided, client retention, and staff experience. Leading the list of best social media marketing agencies for April 2018 is Straight North, a Chicago-based social media marketing agency. This firm has been in business since 1997, and it maintains offices in several major U.S. cities. Over 100 employees of the firm work directly with clients to improve social media engagement. This agency boasts a very high client retention rate. Ignite Visibility has also been named as a Best Social Media Marketing Agency award winner by 10 Best SEO. Ignite Visibility is a top SMM company that is located in San Diego, a hub of web development and SEO companies. As the name of the firm suggests, Ignite Visibility uses social media marketing to help its clients acquire more consumers and targeted leads. Also included on the April 2018 list of award winners is Boostability. As a leading SMM company, Boostability uses a dedicated approach that blends social media marketing with SEO and web design. The goal of this firm is to provide comprehensive solutions for clients who wish to maximize their online visibility. These Best SMM Company honors are a new monthly award that has been created by 10 Best SEO to recognize excellence in SMM. 10 Best SEO hopes to help its award winners achieve the recognition they richly deserve. Thousands of agencies are considered each month for these new awards. The winners are featured on the 10 Best SEO website.